These are all very sensitive subjects where personal emotions can affect good judgment and prudent decision making. The outcome of these cases and the judgments ordered by Ohio Domestic Relations Courts can greatly impact the lives of all individuals involved. 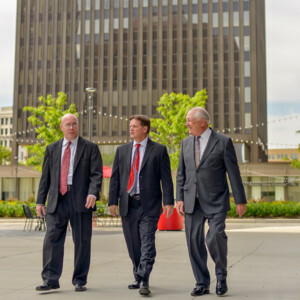 Therefore, it’s important to have an Ohio law firm with highly experienced attorneys on your side to guide you through this difficult legal process and protect your best interests. We created this website for people in northeast Ohio who either are facing or are planning to face a domestic relations issue like the ones listed above. You’ll find useful information here about these topics. However and because every domestic relations issue has its unique set of variables, we encourage you to contact us for a free consultation so we can discuss your specific case in greater detail, answer your questions, and provide you with feedback on how we can help. We invite you to contact us any day of the week at any time of the day by calling 1-888-774-9265, emailing us at slaterzurz@slaterzurz.com, chatting with one of our 24 hour live chat operators or sending us a website message. Whatever method of contacting us is most convenience for you; please know that we will respond to your inquiry promptly. It usually takes us less than an hour to respond if we can’t take your call immediately. When you do contact us, we will put you in touch with one of our law firm’s experienced domestic relations lawyers who will discuss your case with you at no cost to you whatsoever. This is commonly known as a Free Consultation. Not only will this consultation be completely free but you are under no obligation to hire our law firm. You will get the guidance you need to make decisions and take necessary actions. Your free consultation can take place either over the telephone or in-person. The cost to hire an attorney to represent you in a domestic relations case is a frequent question we are asked and there is no single answer. No two domestic relations cases are exactly the same and the time required to bring each case to conclusion is also different. When you contact us to discuss your case, we will be able to give you a better idea of the cost involved and the payment options available to you. When it comes to any domestic relations case, it is very important to plan and consider every option and potential outcome before taking legal action. If a domestic relations action has been filed against you, it’s equally as important to address that action promptly instead of delaying or ignoring it. Otherwise, you could forfeit legal rights that would have otherwise been afforded to you. Whatever domestic relations issue you may be facing, rest assured our team of attorneys and legal professionals can help you and protect your legal rights under Ohio laws. 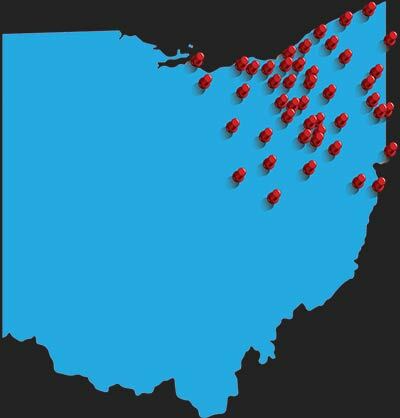 We are an Ohio law firm that has handled thousands of cases throughout northeast Ohio’s many Domestic Relations Court Systems. Please contact us for a free consultation by calling 1-888-774-9265, email us at slaterzurz@slaterzurz.com, start a chat session with live chat representatives or send us a website message.